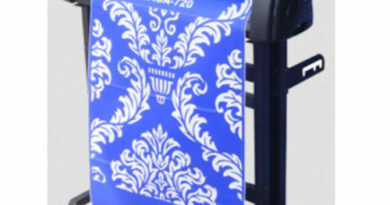 Getting a vinyl machine suiting your needs can be a tedious task. If you are not careful, enough you can end up with something you will use for a month then get bored of it for various reasons. During your research, you might have heard of Silhouette curio. Guess that this is your lucky day! I am going to talk about the Silhouette curio in this review. 7.1 What can Cameo 3 do and Curio can’t? 7.2 What can Curio do and Cameo 3 can’t? The curio is similar in its design to the other machines from Silhouette. The same colors are used: a light blue for the name of the machine while the rest is white. With its 5.5 inches x 17.25 inches x 7 inches dimensions and its rectangular shape, the Curio is absolutely easy to store anywhere. Silhouette Curio has an integrated USB 2.0. it’s used to make a connection between your computer and this vinyl cutting machine. Unfortunately, it doesn’t have any Bluetooth connectivity which makes it a huge disadvantage compared to other Vinyl cutters. However, connecting the cable to a computer is not a fussy process at all. One of the flaws of this machine is the fact that its cutting capabilities are really limited. The cutting width is only 8.5 inches while the cutting length goes to 12 inches. The cutting force of the machine isn’t fabulous two. It is only limited to a modest 7.4 ounces (210 g). However, this will be more than enough for most objects. It supports for instance cardstock, clings vinyl, chipboard, fabric, sheet magnet, foam, rubber, felt, sheet metal, balsa wood, leather, and tissue paper. The Curio is made of several platforms to make it possible to use with different materials. No need to worry about how to match the heights and the materials. Silhouette took care of this detail by providing a guide to get started with the plates and the materials. For thick materials, the deep blade needs to be integrated into the machine. Unfortunately, this blade is available as a separate accessory for the Curio but you can still find it with several bundles. Depending on the operation to apply on the material, users have usually to choose between the embossing mat or the cutting mat. Here is a quick video to demonstrate metal etching. Here is another to demonstrate stippling. The final interesting feature about this machine is the dual carriage. Basically, it enables the machine to do two different operations at the same time. The most common one is drawing and cutting. Like the other Silhouette machines, the Curio comes with the free edition of the Silhouette Studio. Most likely, it is in the basic package of the machine. If by mistake it is not provided, it is still available for download on the internet. The software is required in order to use the machine with all its functionalities. Usually, the steps to make your creations are well defined. As long as you have an idea of what you want to do, there is no need to worry. However, you will need to put some effort to understand the logic of the software which by the way is not hard to grasp. 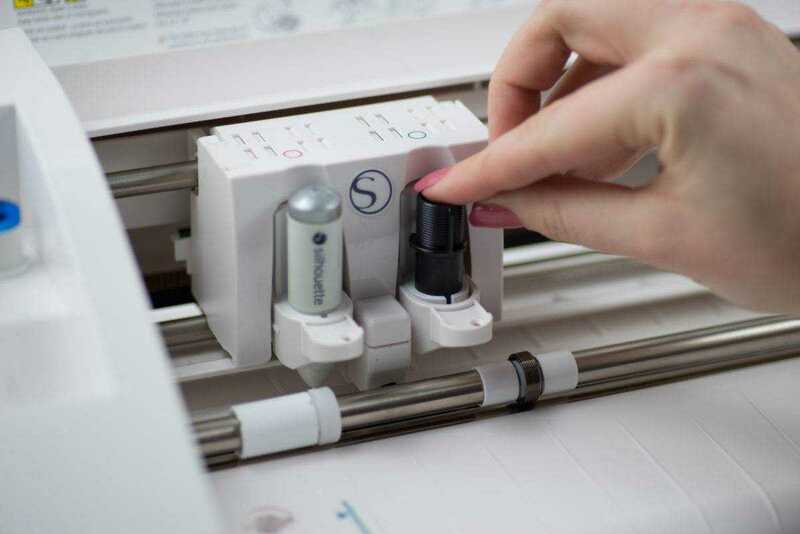 To use Silhouette studio with the Curio, you will need to connect the machine with the USB cable since it doesn’t have a Bluetooth connection. Unfortunately, Silhouette Studio has two weakness: it is really basic when compared to other applications. This is noticed by accomplished users. On the other hand, sometimes some bugs can happen. The good part of the story is that Silhouette is continuously improving its software. There is also a nice feature in Silhouette Studio which is Pixscan. With it, you can load images from your phone and identify the pattern to cut from them. 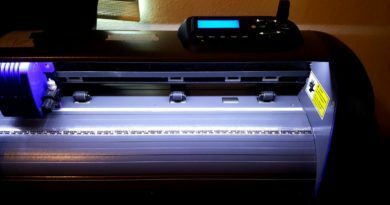 The curio, like its sisters, has many resources either from Silhouette or from hobbyists to demonstrate its capabilities and most of all to help people get started with it. You can also find user guides and tutorials using this machine to get some inspiration for your projects. Silhouette as a company has a really nice support for its customers. There is an official forum to ask questions, a chat and a phone number. Moral of the story, if you run in any kind of troubles with your machine, somebody will be there to help you overcome it. While doing your searches about a vinyl cutting machine, you have most likely read some articles about the Silhouette Cameo 3. 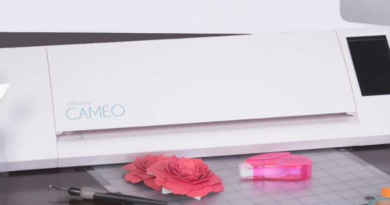 The Cameo 3 is the third version of the Cameo family from Silhouette. In other words, it is the third time Silhouette updates this machine to improve it. What can Cameo 3 do and Curio can’t? The Cameo 3 is better for cutting than the Curio. With its 12 inches cutting area width and the extensible 12 feet long cutting length, large scale projects become possible. Also, Cameo 3 has the auto blade. It is a special blade which adjusts itself depending on the used material. With it, there is no need to adjust the blade before cutting the material. Cameo 3 has also an integrated USB port which can be used to load images and cut them directly without a computer. All of this is possible also by using the integrated LCD touchscreen. Finally, Cameo 3 has also an integrated Bluetooth connection. With it, it becomes possible to connect the machine to a computer wirelessly. What can Curio do and Cameo 3 can’t? 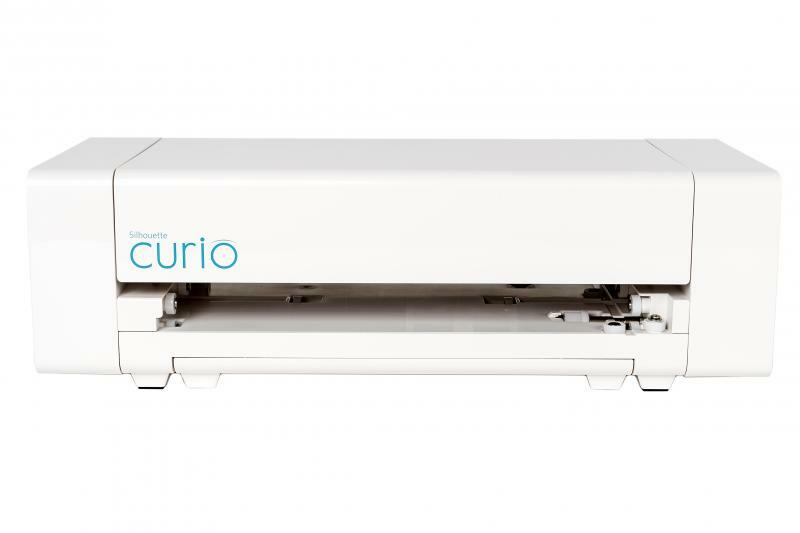 The Curio 3 isn’t only a vinyl cutting machine unlike Cameo 3. It has a more versatile use. The silhouette Curio is sold not as a cheap alternative to Cameo 3 but as an extension. The Curio can be used with materials the Cameo 3 can’t cut such as metal paper. 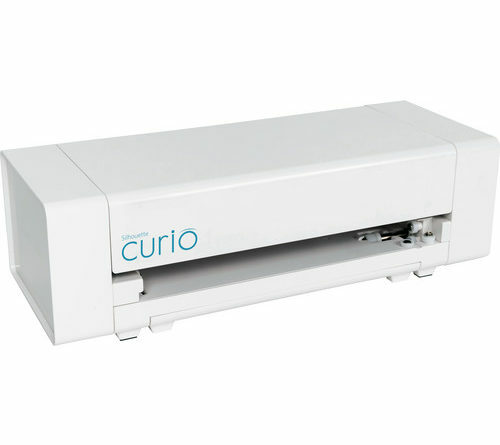 It can perform operations the Curio 3 can’t perform such as embossing, metal etching. Also, in general, Curio can handle thicker materials than Cameo 3. Here is a quick summary of the most important differences and similarities between the two machines. Silhouette is selling the Curio as a sidekick for the Cameo 3. This can explain the differences between the two machines. In a nutshell, if you are looking for a machine for cutting vinyl and heat transfer paper, and if you are not looking to create big designs Curio 3 can do the trick. Also, it can be a good match, if you want a versatile machine. However, Cameo 3 becomes a better choice if you want to cut bigger vinyl and scale your projects. There is, though, one condition. Don’t expect to cut thick materials with it.